A stunning pair of silver drop earrings with a leopard print pattern etched into them. The pattern has been darkened by a process called oxidisation so it stands out. 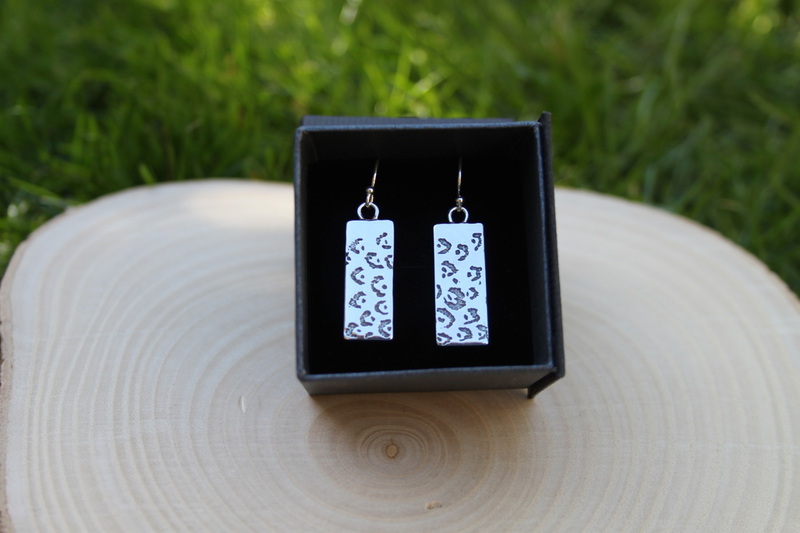 I love animal prints and really enjoyed designing and making these earrings. 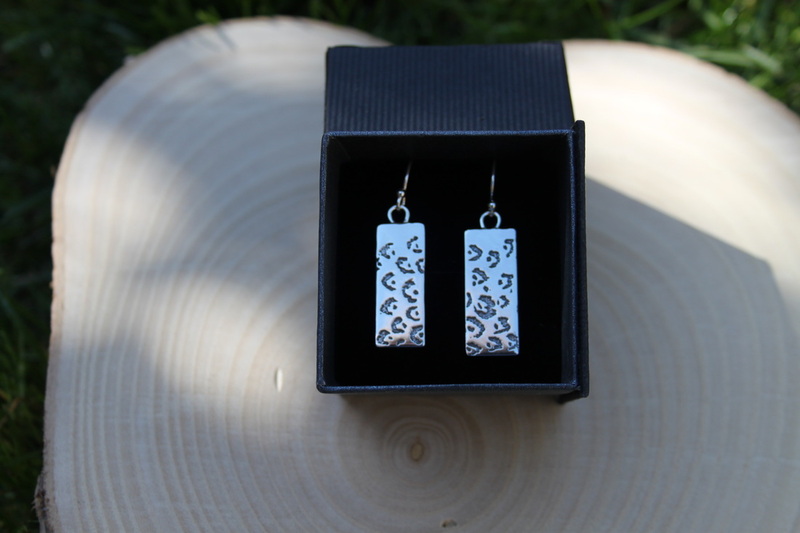 Each earring is handmade and so they vary slightly in pattern. Dimensions: Length, including the ear wires, is 35mm, they hang 14mm from the ear. The silver sheet is 2mm thick and 25mm x 10mm. These earrings come carefully packaged in a lovely black jewellery box, as shown in the photo.